It was an early October WEST event. Dr. Amy Rebecca Gay had just started her presentation on self-advocacy and negotiating-while-womaning. I wasn’t expecting the rip tide surge of emotion. It barely touched the surface, but it took the room underwater with a collective two-beat sigh, an almost visible miasma of bang-your-head-against-the-wall frustration. Dr. Gay had just explained Dr. Hannah Riley Bowles’ observation that women pay a ‘social cost’ for effectively negotiating for themselves even when the same exact behaviors and outcomes earn men respect and a social capital bonus. Insert two-beat sigh here. Innnnn, and oooooout. Meena Subramanyam was born a scientist – for as long as she remembers, she was always interested in math, biology and how nature works. She aligned her coursework at school to ensure that she attended as many science classes as she could, and then pursued a degree in microbiology, with a focus on human anatomy, immunology and physiology in college which prepared her for pursuing a career in applied research. She focused on understanding the development of resistance to tuberculosis drugs for her Master’s thesis and shifted to studying the response of the immune system at the molecular level when she came to the USA to continue her graduate studies. 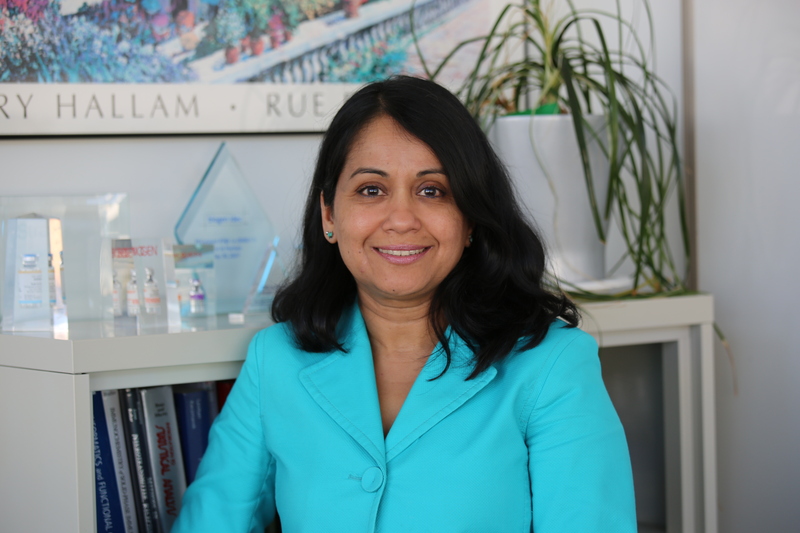 From there, hard work, focus, a desire to learn about drug development and commitment to make a meaningful difference drove an impressive career and her current position as a VP and Global Program leader at Takeda. 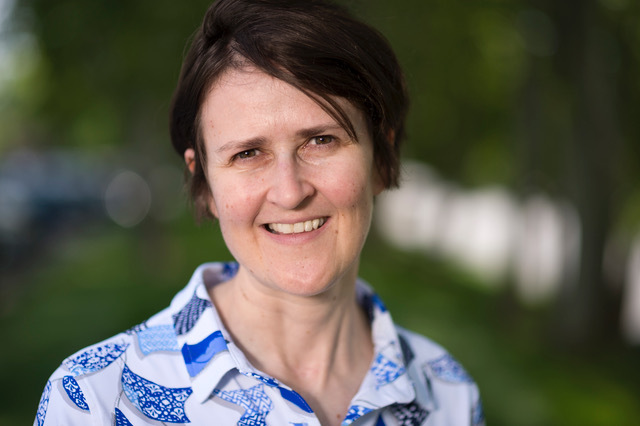 Ros Deegan, President and CBO of Bicycle Therapeutics, sat down with WEST to discuss her insights on twenty years working in the enterprise-side of pharmaceuticals and biotech as an avowed generalist. For me, holiday networking is a bit easier because it’s both energized and relaxed. 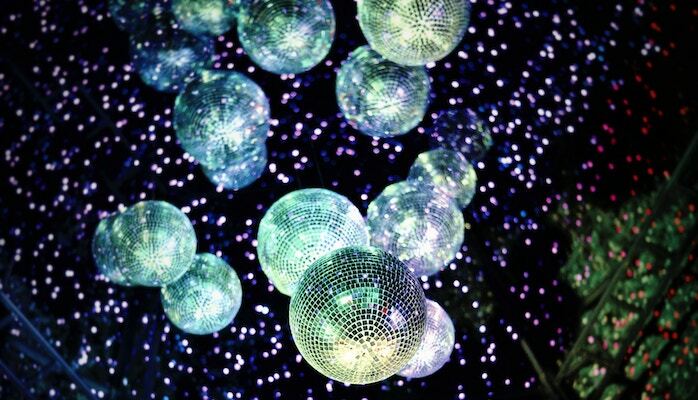 Like holiday light displays, there’s a practical core: light the longest nights of year—build the network. But—pun alert–there’s fun in the function: those glowing colors and twinkling patterns distract me from the cold, dark walk from the office to the T station. You look back on the year and you nailed it. All of it. You checked every box and made every milestone. Graduated with honors. Got that dream job. Finally took that vacation paid for with the raise that came with your promotion. So why does it seem like you forgot something? Like the puzzle is missing a piece? Integrity: Do your actions align with your values? Intents: What’s your agenda? 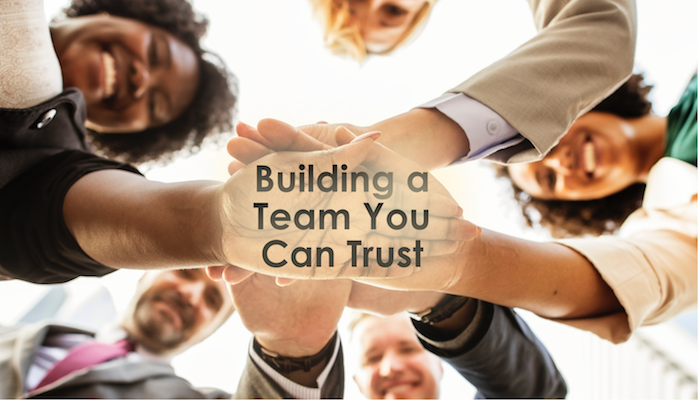 Are you thinking about your year-end bonus or your team’s long-term success in the context of your organization’s mission? 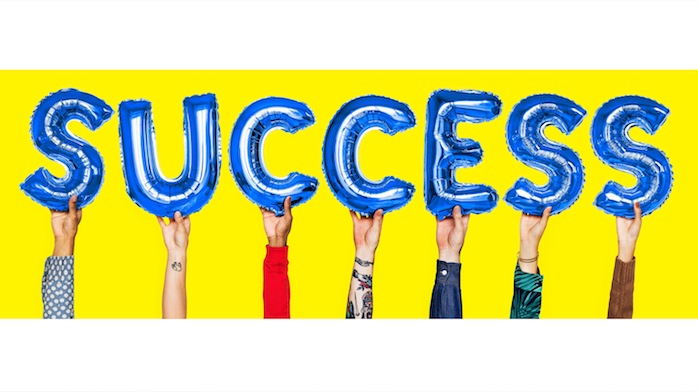 Capabilities: As important as what you know and how you do it, is your ability to accurately gauge your competencies and execute accordingly. Results: Listed last, but this really comes before everything. This is the track record that proves a person worthy of that initial trust that gets things moving. 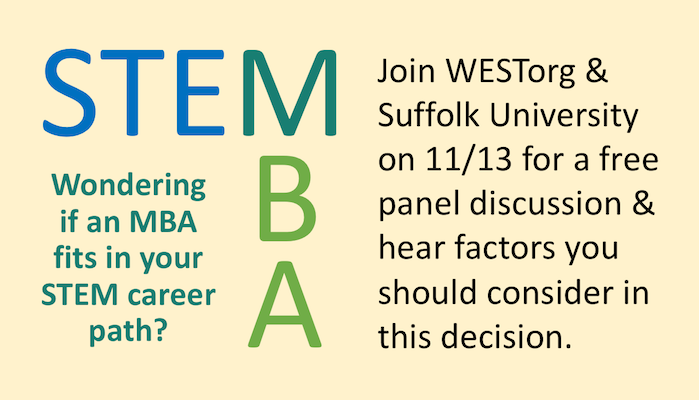 Wondering if an MBA fits in your STEM career path? For most of us, this is a question about long-term goals and working environment preferences. Combining an MBA with your STEM skills would prove valuable in situations that require leaders who can wear many hats—lab managers, project team leaders, entrepreneurs or anyone at a startup. We are all biased – it is a basic human trait necessary for survival so that we recognize our tribe, our peeps, and avoid the enemy. However unchecked and unconscious bias creates unfair judgements and endemic prejudice stifling opportunities for both individuals and organizations. Unconscious or implicit bias is at play when we evaluate people and situations using our instincts developed after years of stereotyping learned from and reinforced by the society around us. 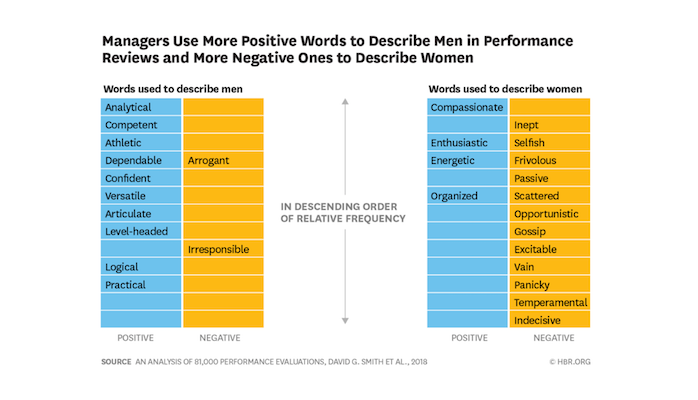 When we see the color of someone’s skin, hear their voice and accent, or observe their gestures, for example, our minds quickly seek to make sense of it all by slotting them into specific profiles or roles. We have all made those mistakes! Biogen's WIN group is offering roundtable discussions with women from various areas of Biogen. 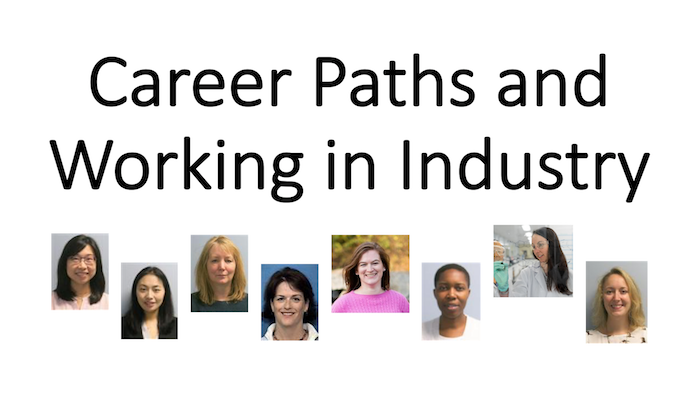 They will be talking to female grad students and post-docs about their career paths and decision to work in industry. 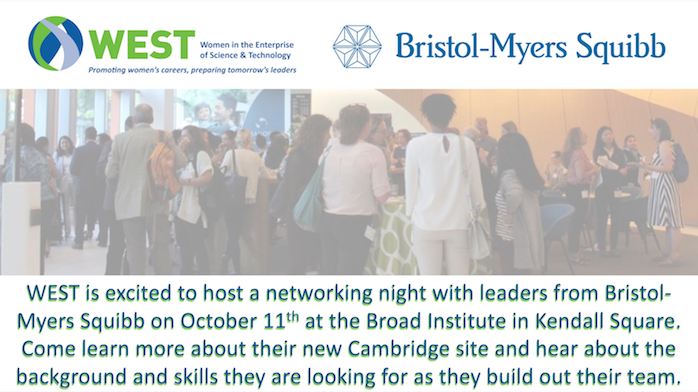 WEST is excited to host a networking night with leaders from Bristol-Myers Squibb on October 11th at the Broad Institute in Kendall Square. BMS will open their new R&D site in Cambridge this November where they plan to grow their team in key areas such as Oncology and Translational Medicine and Discovery Technologies. This location will be a flagship R&D site for the company with up to approximately 300 employees. 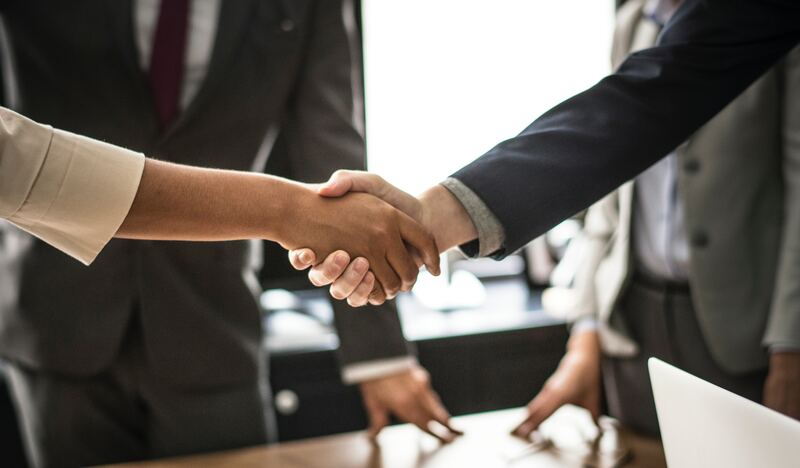 Through their Bristol-Myers Squibb Network of Women (B-NOW) which advises on the hiring, compensation, and advancement of women in BMS to their 50.3% female workforce, BMS has demonstrated a strong commitment to an inclusive and diverse workforce.